Free App! 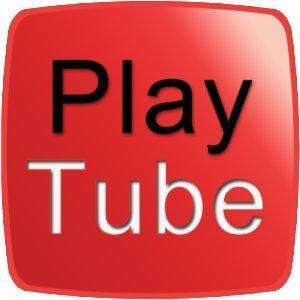 PlayTube (iTube on IOS app store) for Android Play Store FREE! This is such a good app! Access any youtube video wherever you are without an internet connection by caching the video first and saving it into a playlist on Playtube. 1. Search the video you want in Playtube. 2. Wait for the video to load and wait for the orange bar to reach the end. 3. Save the video to a playlist by selecting '+' and then create or add to a playlist. 4. Enjoy wherever you are without an internet connection! NOTE: Internet connection needed to cache the video in the first place! Yes it is I just downloaded it. Great find op. Voted hot because it's a good freebie. That said, I've already removed it from my phone. Don't much like the interface, but moreover the adverts are too intrusive for my liking. I could just about forgive the permanent advert bar at the bottom of the player. I could not get past the forced full screen video adverts that you are forced to watch every so often. I'd probably just buy the full version If I had any need to cache You Tube videos to my phone. But it would only be a novelty for me. No it's not. It's freemium.